Susan and I had a nice dinner after work one night at Fred's. It's on the top floor of Barneys New York on Oak Street. It's a beautiful space and I think they have a patio area where you can sit when the weather is nicer. We started with a baby octopus salad with arugula salad. I forgot to take a picture, but this was absolutely delicious. I love grilled octopus, it's one of my favs. 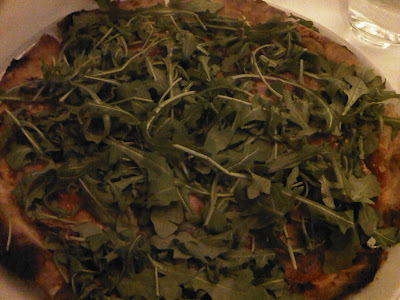 We also got the Proscuitto and Arugula parma ham, tomato, mozzarella and arugula pizza. Their pizzas are made from 100 % King Arthur Flour and their dough is kneaded and fermented in the true Neapolitan style. 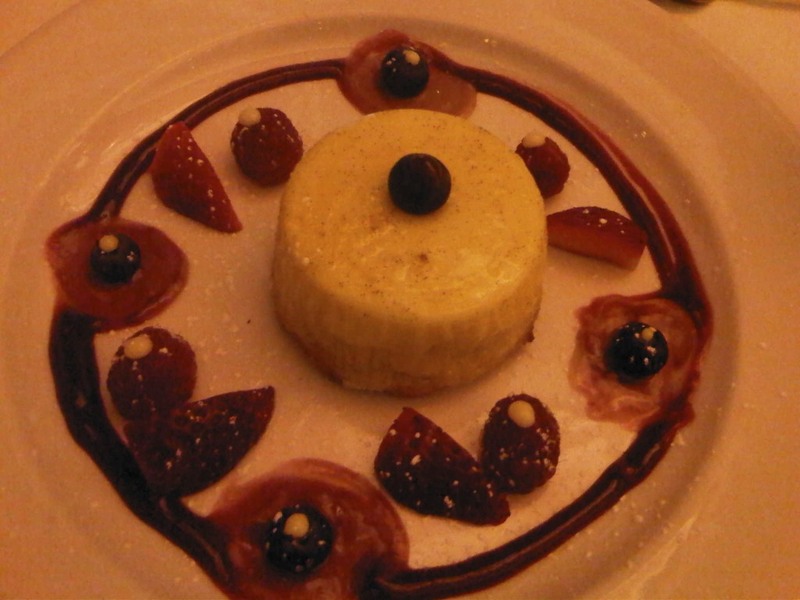 All of their ingredients are either sourced locally or imported from Italy. We also ordered their Garlic and Herb Roasted Berkshire Pork Chop, which came with red wine onion confit and roasted fingerling potatoes. 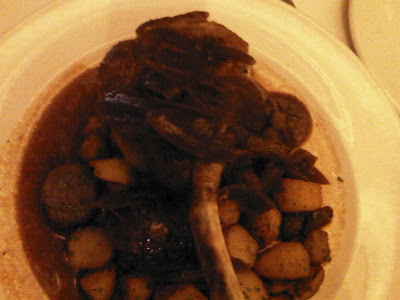 The red wine onion confit was really good. An excellent suggestion by our waitress. We were pretty stuffed by this point, but it's hard to pass up on dessert. We opted for the white chocolate bread pudding. This was also a pleasant surprise. The bready part was on the bottom and the top consisted of a panna cotta-esque texture. I think we polished this up pretty quick. Our waitress also told us about their weekend brunch specials which is a choice of entree, drink (Bloody Mary, Mimosa or soft drink), a basket of homemade scones, muffins, toasted bread and foccacia, salad, dessert and coffee for $28. That's a pretty great deal for the quality of food Fred's serves. We will definitely have to come back for brunch. me too! I haven't tried it at home yet, but it seems pretty easy.